Which Video Service is Best for Your Website? video to demonstrate your products or services, introduce your staff, tour your offices or facilities and provide customer testimonials. Video marketing is a great tool to engage your target audience and personalize your online presence. Now that you have decided to incorporate the use of video marketing into your business website, you will want to choose a platform to host your content. The two video giants are Wistia and YouTube. 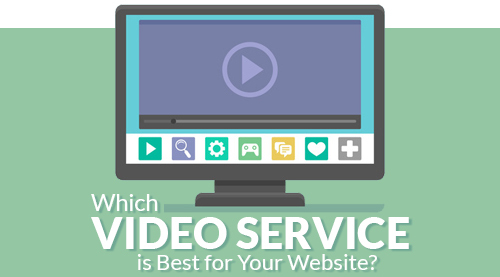 Which video service is right for you and your website? YouTube is a common household name. They receive an incredible volume of visitors and new uploads daily. It is a great site for your video marketing. The free content is both searchable and shareable. A large audience is built-in through the social media traffic of the YouTube community and the feature of subscriptions, which lets users follow the authors of their favorite posts. You can track how people found your video as well as what type of device they used to watch it. You Tube is owned by internet giant Google. The recent integration of Google Plus now allows you to access a wealth of demographic statistics about your viewers as well. As an example, here's a video we created an posted to YouTube about Computer Virus and Malware Prevention. Wistia is a terrific video hosting company, but they are also an analytics company. They have no central database, like YouTube offers. Instead, Wistia hosts your video on their servers but it only appears where you embed it on your own business website. Wistia reports how each person watches each video, second by second. This enables you to see where a viewer lost interest, if they didn't play the whole thing through to the end or where it was replayed, if they went back to get more information. The content is customizable and shareable. The HD-quality makes it a great site for how-to videos and courses. It is not a social media forum, there is no way to enable comments from the viewers. A considerable drawback is that it is not free, but if you need reports on how your video marketing is working, go here. 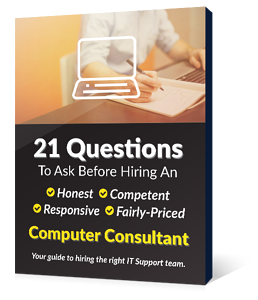 To see it in action, visit our home page where we have a video hosted by Wistia that is an introduction our managed IT services. Search engines love videos, so use them to drive traffic to your website. Show off new products, create excitement about upcoming sales and provide updates about current news in your industry. Video marketing can be an important part of your business website if you keep it updated with new content on a regular basis. Ideally, your business website can benefit from the features of what both YouTube and Wistia have to offer. When making your choice, you will want answers to questions such as: Which is better for product branding? For product launch? Are there unique features offered by one or the other? What is their biggest strength? Weakness? Hopefully, we provided you with some answers to your questions on our blog, but if you need more help, give us a call. We provide web design services for clients all over the U.S. from our office in Albuquerque, NM. Creating a balanced internet video marketing campaign could use them both.